Getting to Disneyland, the Happiest Place on Earth! Here is another great post from Military Disney Tip’s Disneyland Correspondent Janina. Hey everybody! Greetings from the Golden State! It’s been awhile since my first post about staying in the Anaheim area. I promised I would get information about getting to the Disneyland Resort from the airport and also the best way to get around the Anaheim area, so that’s what I’m bringing you today! We all know that another way to save money on a vacation is to skip the rental car, right? Most of you will probably be flying into southern California if you don’t have the luxury of living within driving distance. There are 5 airports in the area that are close to Anaheim; Burbank Bob Hope (BUR), Los Angeles (LAX), John Wayne Orange County (SNA), and Long Beach (LBG). The closest airport is John Wayne in Santa Ana (15 minutes from Disneyland), but you will probably get cheaper tickets flying into either LAX or Long Beach. The Burbank Bob Hope airport is the furthest away from DLR and is usually the most expensive one to fly into. There is one shuttle service that you can reserve for a low rate, to and from the airport. When I say low, I mean low. When you normally use a service, say, like Super Shuttle, it’s usually about $50+ one way per person, right? How does $15 bucks per person each way sound? Fantastic, right? Well, believe it! The shuttle service to use is Prime Time Shuttle. What’s so great about Prime Time? They offer their customers a discount when they book round trip service and a variety of transport options, ranging from a shared shuttle all the way to a limo for luxury services. 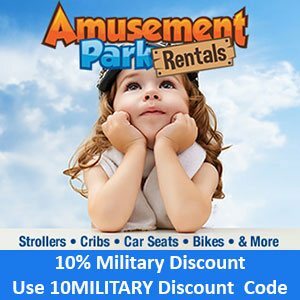 Military Disney Tips Readers are eligible for 10% off of their regular rates! For LAX it is only $15 one way! Click on this link! It will take you straight to a personalized portal that was created just for our readers. So how can you get around Anaheim without a rental? Ride ART! Anaheim has a great transportation system called “ART”, which stands for Anaheim Resort Transportation. 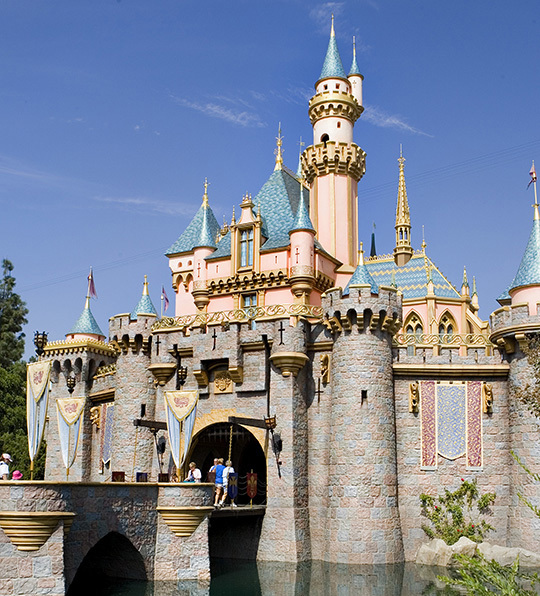 It helps visitors from all over get from their hotels to the Happiest Place on Earth, as well as places like the Anaheim Convention Center (where the D23 expo is held), the Outlets at Orange for you shoppers, Angel Stadium, and even Knott’s Berry Farm! There are stops every where, conveniently placed so you don’t have to endure the long .7 mile walk to your hotel after walking, running, or skipping all day at Disneyland. You can buy your passes in advance online or purchase them at one of the kiosks along their routes. Their website has all of the information you need; routes, schedules, and where to find kiosks! Note: if you purchase multiday passes, they are for consecutive days use only. If you want to explore Orange County more than where ART can take you, you can always utilize the local bus system. The OCTA (Orange Country Transportation Authority) will take you to explore beaches like Huntington and Newport, Laguna Hills, and even show you what routes or transfers to take you as far South as San Clemente (right before the San Diego county line). Costs start from $2.00 fares and go up, depending on where your ride or if you get a multiday pass. The statue of Walt Disney in the hub at the top of Disneyland’s Main Street was made 1 inch taller than really he was. 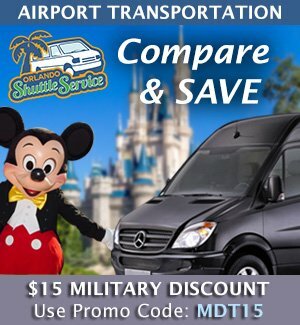 Learn about the Disney Armed Forces Salute the best military discount that there is for Disney. For where to stay see our Resorts/Hotel Overview Page. Disney doesn’t discount dining for the military, but there are a few places on property that do, see the Dining Overview Page to learn where plus more dining info. You can also learn about Transportation Options. Be sure to check out our Technology Overview to learn about Magic Bands and My Disney Experience to see how they work with military tickets. 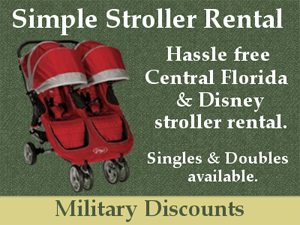 Walt Disney World visitors might be interested in staying at Shades of Green, WDW’s Military Only Resort. Here are my recommendations for products and services I've reviewed that can improve your Disney planning. This is a short list since it only includes my top picks. 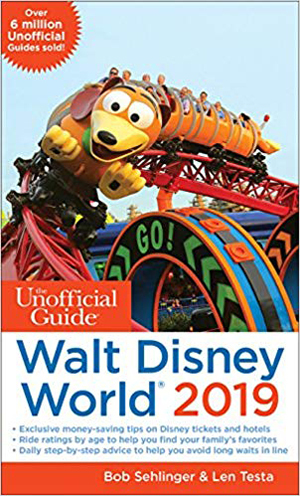 The Unofficial Guide to Disneyland The Ultimate Disneyland Guidebook! 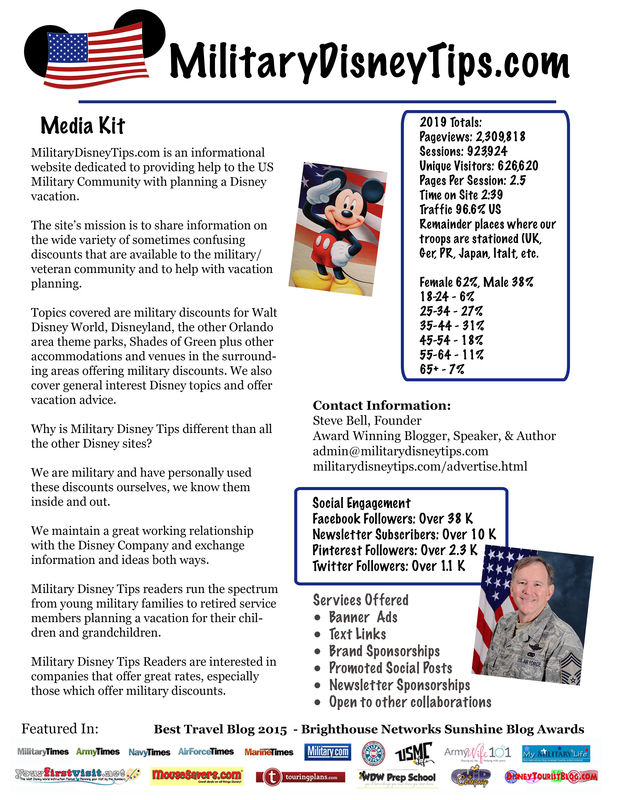 Go to the Military Disney Tips Main Site Home for much more information! Ears of Experience is a fee-free travel booking company specializing in Disney vacations. Military family owned and operated! They know all the ins and outs of Disney military discounts! We are at WDW right now and I just wanted to say thanks again for the very prompt and ACCURATE info you put out. Sometimes even the ITT or even Disney folks slip up, but you keed the record straight! Outstanding job!!! - Gerald R.
I can honestly say that learning about Military Disney Tips is the only reason I am so prepared for my family’s upcoming, once in a lifetime trip. If it wasn’t for all the wonderful advise I would not have been prepared for the 2017 Salute to the Military release nor would we have received a pretty awesome 30% discount off our room. I have so many notes and tips stored away to make our trip magical so thank you, thank you, thank you. - Lisa L.
I just discovered Military Disney Tips recently and I’m so glad I did. I had no idea how wonderful Shades of Green seems to be. I’m so exciting about our first visit. I didn’t know all the wonderful tips for Military families. I have referred to this website many times during the planning of our upcoming trip in March. Thank you for all you do. It’s truely great!! 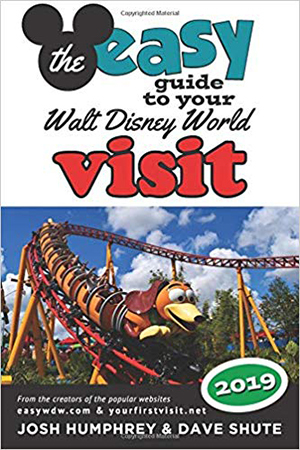 - Michelle S.
I came upon this page during our initial stages of planning our February 2017 Disney World trip and it has been so extremely helpful not only in its content, but when I have a question, I know I can count on Steve to get the answer and get it quickly. It has been my go-to website and I would not be so prepared and informed without it. This website is a staple for this vacation and for our future trips (hopefully!!!) to Disney. - Amy M.
I’ve been to WDW many, many times, but I always learn something new from different websites. 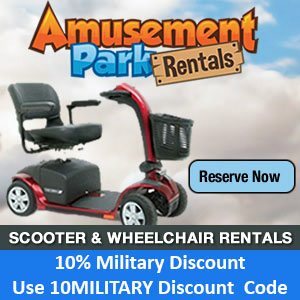 This website is especially helpful, since it caters to military personnel. Since the military population is such a small part of normal website’s readership, nobody else puts much effort into military-specific information. MilitaryDisneyTips does that for us. I used to have to dig through a few different websites to finally find the information that I needed, but it’s here, front and center for us. - Jeremy Z. Just taking a minute for a HUGE thank you for all you do. Your invaluable info gave my family (7 of us including the grandkids) the BEST 2 week Disney World vacation last Oct. - Krissy P.
Military Disney Tips is my go to site for current and correct information for the military community. As soon as Disney made their announcement for the Armed Forces Salute continuing Through 2017 it was on MDT. No speculation, just the actual facts that will help us make important decisions for our vacation budget. - SherryAnne S.
FTC Disclosure of Material Connection: In order for us to maintain this website, some of the links in the post above may be affiliate links. Regardless, we only recommend products or services we use personally and/or believe will add value to readers. The Walt Disney Company, Disney Enterprises, Inc., or any of their affiliates, nor the Shades of Green Resort or the Armed Forces Vacation Club.